Introduction: As part of national program of innovation and a part of the science-oriented development plan, “science and technology” parks have an effective role in accelerating the process of turning ideas into real products and thus, the development of technology by providing necessary conditions for market-oriented research and merchandising the outcome of research. 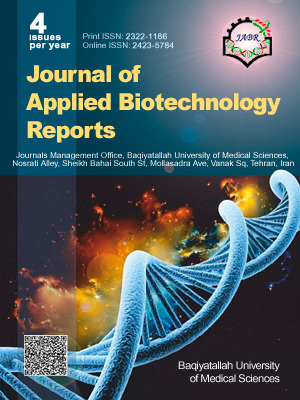 The purpose of the present research is to recognize, specify and prioritize vital elements in the success of development centers by concentrating on the case study of the development center of Baqiyatallah University of Medical Sciences (BMSU). Materials and Methods: Primarily, In this regard, comprehensive literature review of more than 400 critical success indicators of parks and incubators were identified. Then, by integrating the overlays and the use of expert’s opinion, initial screening was conducted. The numbers were classified which were limited to 43 indicators in 5 clusters (5 elements). In this study, the Friedman test was used to rank the following factors and also the critical success subfactors of business incubator of BMSU. Results: Findings indicate that factor of “human resources” with value of 4.19 among other factors and index of “supporting the commercialization of research results” as a part of “support and services of incubators” with value of 7.94 among other indexes, allocated the first ranks. Conclusions: The outcome of this research, with the leading role of the Science and Technology Center of BMSU, was done in order to be used in strategic management and macro-policy making of the University. Link An, Scott Jt. US science parks: the diffusion of an innovation and its effects on the academic missions of universities. Int J Ind Organ. 2003;21(9):1323-1356. Doi:10.1016/S0167- 7187(03)00085-7. Somsuk N, Wonglimpiyarat J, Laosirihongthong T. Technology business incubators and industrial development: resource‐based view. Industrial Management & Data Systems. 2012;112(2):245- 267. Doi:10.1108/02635571211204281. Henriques Ic, Sobreiro Va, Kimura H. Science and technology park: future challenges. Technol Soc. 2018;53:144-60. Doi:10.1016/J. techsoc.2018.01.009. Soofi As, Goodarzi M. The Development of science and technology In Iran. New York: Palgrave Macmillan; 2017. Doi:10.1057/978-1- 137-57257-8. Kusharsanto Zs, Pradita L. the important role of science and technology park towards indonesia as a highly competitive and innovative Nation. Procedia - Social And Behavioral Sciences 2016;227:545-552. Doi:10.1016/J.sbspro.2016.06.113. Mansour Amh, Kanso L. Science Park Implementation – A Proposal For Merging Research And Industry In Developing Arab Countries. Hbrc Journal. 2017. Doi:10.1016/J.hbrcj.2017.06.002. Gliga G, Evers N. Marketing challenges for high-tech smes. Innovative Marketing. 2010;6(3):104-112. Mc Cartan-Quinn D, Carson D. Issues which impact upon marketing in the small firm. Small Business Economics. 2003;21(2):201-213. Doi:10.1023/A:1025070107609. Gay K. The Science Park Evaluation Handbook, Science Park Evaluation and Goal Oriented Project-Planning Section. European Innovation Monitoring System (Eims); 1996. Monck C, Peters K. Science parks as an instrument of regional competitiveness: measuring success and impact. IASP 2009 Conference; Taiwan; 2009. Bahari A, Moody B, Yaghoobi N, Alamolhodaei Sh. Identification and prioritization of critical success factors of Khorasan Razavi Science and Technology Park. Roshd-E-Fanavari. 2012;8(30):13- 21. (Persian).